The beef sinew simmered by miso sauce. A little bit lacks the volume for a set menu especially for guys but tasted very well (the miso sauce matches with beef perfectly). 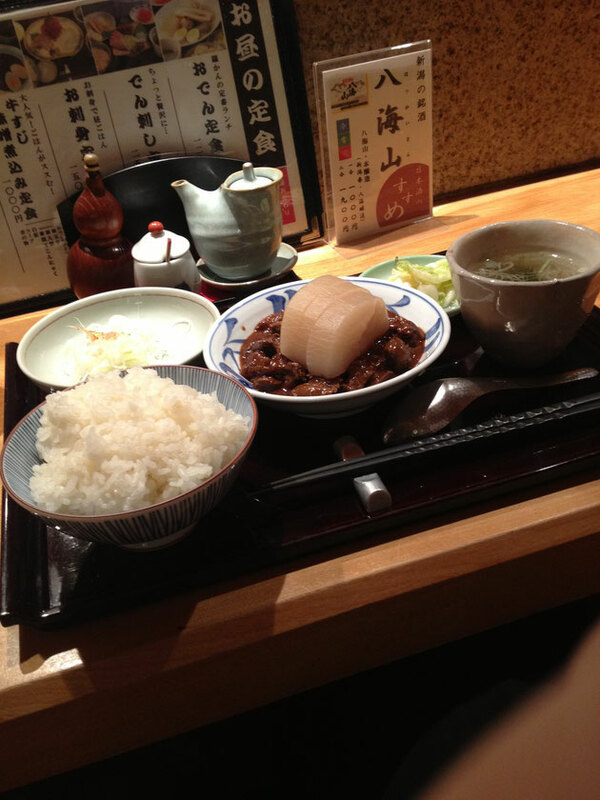 Not many restaurants provide oden type of set menus around Tokyo Station so in that sense, it was worth trying. This menu is their best recommendation so when you come close by Tokyo station, it may be a good idea to stop by this restaurant. Good oriental interior also was a plus.